Ram Charan is a highly sought after business advisor and speaker, famous among senior executives for his uncanny ability to solve their toughest business problems. For more than thirty-five years, Dr. Charan has worked behind the scenes with top executives at some of the world's most successful companies, including GE, Verizon, Novartis, Dupont, Thomson Corporation, Honeywell, KLM, Bank of America, and MeadWestvaco. 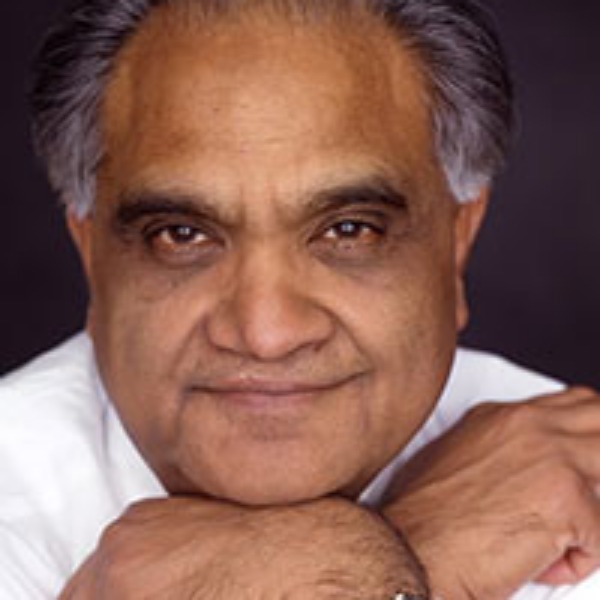 Ram Charan has shared his insights with many others through his teaching and writing. Dr. Charan's introduction to business came early while working in the family shoe shop in the small Indian town where he was raised. He earned an engineering degree in India and soon after took a job in Australia and then in Hawaii. When his talent for business was discovered, Dr. Charan was encouraged to pursue it. Ram Charan earned MBA and doctorate degrees from Harvard Business School, where he graduated with high distinction and was a Baker Scholar. After receiving his doctorate degree, Dr. Charan served on the Harvard Business School faculty. Ram Charan is well known for providing advice that is down-to-earth and relevant and that takes into account the real-world complexities of business. Among Dr. Charan's recommendations for achieving profitable growth, for example, is to produce "singles and doubles" as well as home-runs and to develop what he calls a "growth budget" to instill discipline on growth initiatives. Identified by Fortune as the leading expert in corporate governance, Ram Charan is helping boards go beyond the requirements of Sarbanes-Oxley and the New York Stock Exchange by providing practical ways to improve their group dynamics. Boards, CEOs, and senior-most human resource executives often seek Dr. Charan's advice on talent planning and key hires. Many people have come to know Ram Charan through in-house executive education programs. His energetic, interactive teaching style has won him several awards. Ram Charan won the "Bell Ringer" award at GE's famous Crotonville Institute and "Best Teacher" award at Northwestern. Dr. Charan was also among BusinessWeek's top ten resources for in-house executive development programs. Over the past decade, Ram Charan has captured his business insights in numerous books and articles. In the past five years, Dr. Charan's books have sold more than 2 million copies. These include the bestseller Execution: The Discipline of Getting Things Done and Confronting Reality, both co-authored with Larry Bossidy, What the CEO Wants You to Know, Boards at Work, Every Business Is a Growth Business, Profitable Growth and Boards That Deliver. A frequent contributor to Fortune, Dr. Charan has written two cover stories, "Why CEOs Fail" and "Why Companies Fail." His other articles have appeared in the Financial Times, Harvard Business Review, Director's Monthly, andStrategy, and Business. Ram Charan has served on the Blue Ribbon Commission on Corporate Governance and was elected a "Distinguished Fellow" of the National Academy of Human Resources. Ram Charan is also on the board of Austin Industries and Tyco Electronics. Dr. Charan is based in Dallas, TX.